On Sunday March 24 from 10am until 4pm join us for a first-hand look (and taste and smell) of all things vintage-related. We will then proceed to a vineyard and winery tour, ferment and 2018 barrel tasting as well as participation in varied wine-related activities such as grape picking and plunging, perhaps even some pigeage (hint: it involves your tootsies). 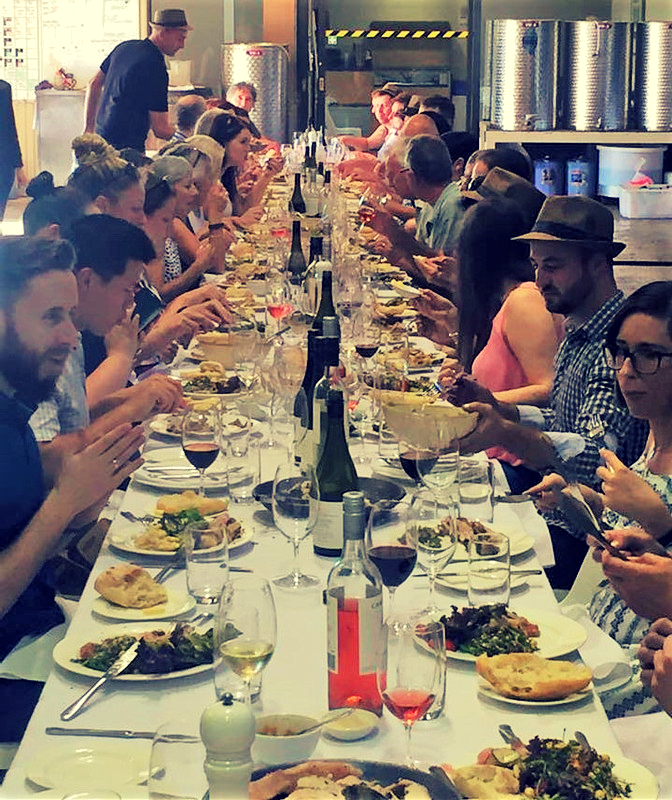 All of these activities will be followed by a long table lunch in the winery hosted by Michael Fragos, chief winemaker, and the cellar door team. Michael will be firing up the spit with some local lamb, salads and the famous Andy Clappis baguettes. All dietary requirements can be catered for. Please let us know on booking. To round out the day we will finish with cheese platters and new release wine tasting. Tickets for VIP members will be $40 per person which includes ALL of the above. This event is one of the most eagerly awaited of the year... Previously we have done two dates but due to winery constraints, this year there will only be one date so numbers are limited (4 tickets per VIP member).